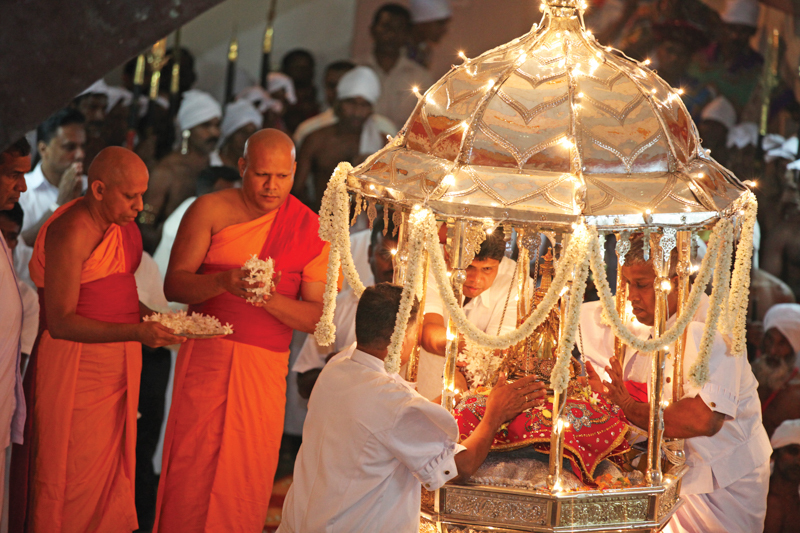 When the Sacred Tooth Relic of the Supreme Buddha was brought to Sri Lanka, it gave birth to a rich tradition. 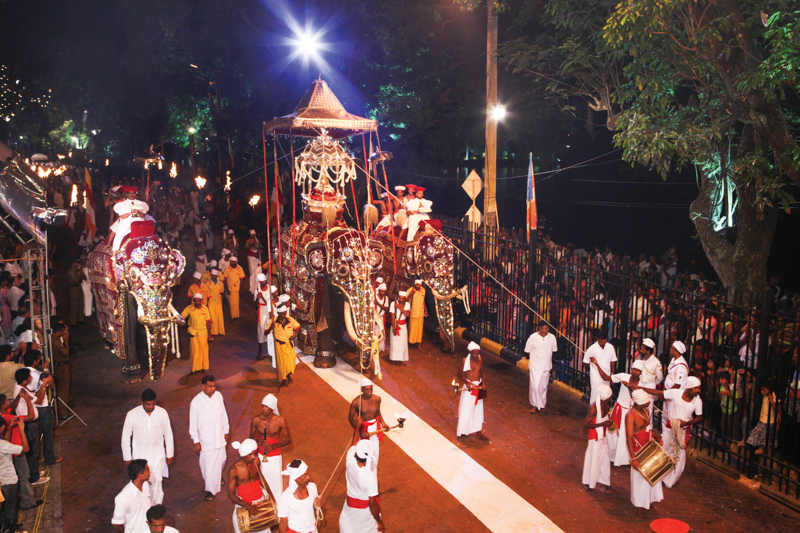 A procession that showcases the aesthetic splendour of the Island colours the pristine grounds of Sri Dalada Maligawa and enchants the streets of Kandy. Dalada Vahansa or the Sacred Tooth Relic of the Supreme Enlightened Buddha journeyed to the Island in the fourth century BC during the reign of King Kirthi Sri Meghavarna. Since its arrival the Relic received a place of honour, royal patronage and thus the attentions of the artists. The Sacred Relic soon became the symbol of the monarchy, that legitimized the claim to the Island's throne. As the seat of power moved about so did the Sacred Relic. Its final bastion was the hills, where King Wimaladharmasuriya established the Kingdom of Kandy, the last realm of the Sri Lankan monarchy. The majestic Sri Dalada Maligawa, which stands today in all its sanctified splendour is believed to have been constructed by King Weera Parakrama Nardendrasinghe. The lovely Walakulu Bamma (wall of clouds), strategically engineered moat and backdrop of the forest served as protection for both the King's Palace and Temple. Venerated with the chanting of the Dhamma, flowers and art, dance and music; the Temple of the Sacred Tooth Relic further represents the national spirit and indigenous design genius of Sri Lanka. Every aspect of the Temple hence inspires awe. The Vada Sitina Maligawa or Shrine of the Sacred Relic is illustrated with the finest arts and sculptures of the era. The unmistakable Paththirappuwa or Octagonal along with the sloped Kandyan roof are icons of Sri Lankan architecture. The Audience Hall where the Kandyan Convention was signed between the Kandyan Aristocracy and British Colonisers is embellished with ornate timber carvings characteristic of the era. The Sacred Tooth Relic is deeply venerated as the tooth had ‘the greatest touch of the Dhamma’ that the Great Teacher preached for 45 years. 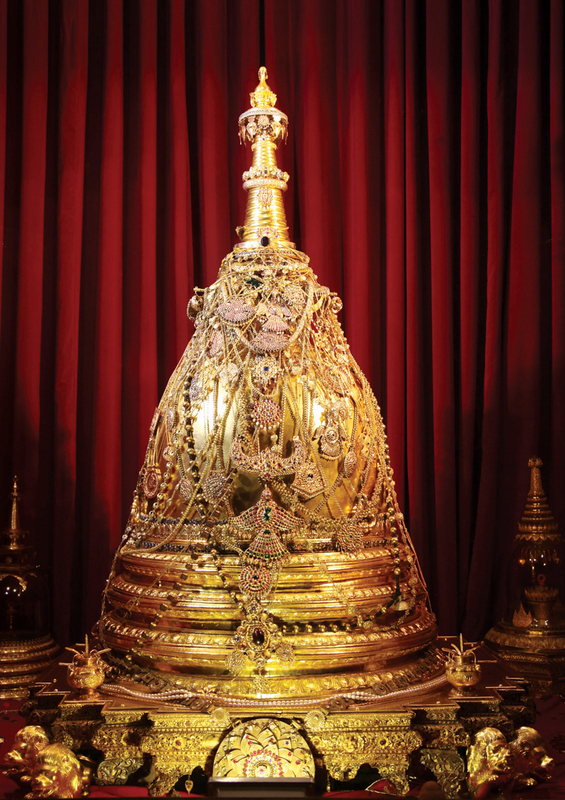 The Relic at the Dalada Maligawa is believed to be the sacred canine tooth of the Buddha. 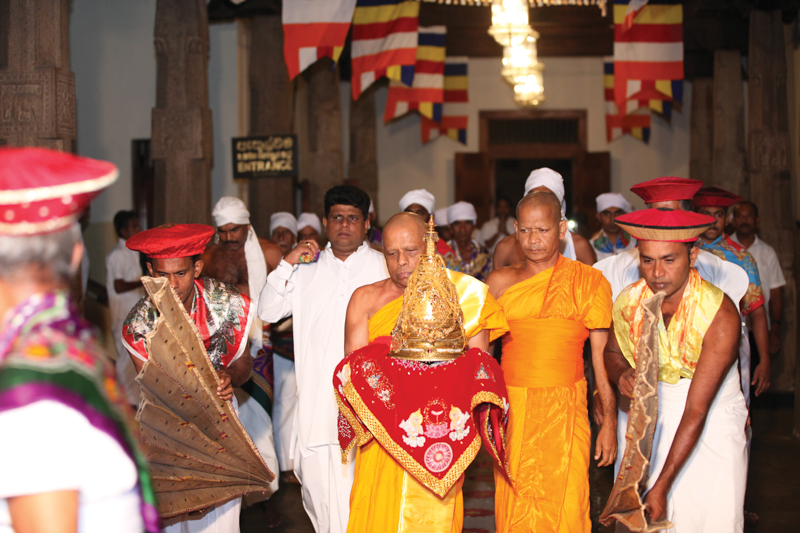 Tradition reigns supreme at the sanctified abode of the Sacred Tooth Relic of the Great Teacher. From daily spiritual observances to the Temple Mangallayas (festivals), each and every rite performed finds its origins in the Anuradhapura Kingdom. The greatest and most revered festival is the Esala Mangallaya or the Kandy Esala Maha Perahera. Weeks before the Nikini Full Moon Poya Day, the city of Kandy, radiates in gold, the Temple twinkling in the night. The multi-coloured Buddhist Flags flutter ceremoniously. The Dalada Perahera, or as it is called today, Esala Maha Perahera has been held since King Kirthi Sri Meghavarna welcomed the Relic in the Island millennia ago. It is said the artisans and performers who service the Relic and this grand procession are decedents from the troupe that accompanied the Dalada Vahansa to the Island. Thus, according to the ‘Dalada Siritha' written during the rule of King Parakramabahu the IV of the Kurunegala Kingdom the procession is held annually. 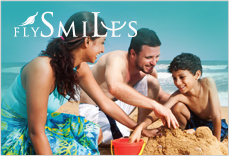 Showcasing the rich heritage of the Island in elaborate lavishness is a fundamental element of the procession. According to the Mahavamsa Chronicle, King Kirthi Sri Meghavarna reportedly spent nine lakhs on the Dalada Perahera while the procession held during the reign of King Parakramabahu extended a yojana (16 miles). During the era of King Kirthi Sri Rajasinghe, the perahera saw the inclusion of the processions of the four Devala, representing the Hindu influence that came about through the last four Nayakkara dynasty Kings. 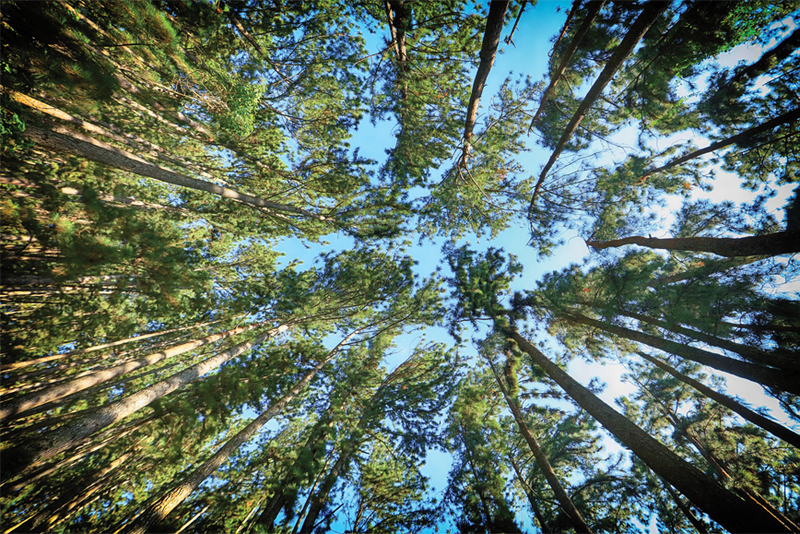 According to auspicious times the initial Kap Situweema or ceremonious Kap is planted in the four Devala. The five Kumbal Perahera and four Randoli Perahera precede the Maha Randoli Perahera, while the last procession is held during the day. The Maha Randoli Perahera takes to the streets with a celebratory bang. Drummers take their cue and set the rhythm. Whip Crackers clear the path, as their ancestors did for the King. The atmosphere is governed by the hewisi (percussion) troupe, decedents of a lineage that has been a part of the procession for eons. The naiyandi, tambourine and udakki dancers, captivate. Perhaps the most anticipated are Ves Dancers, a dance illustrative of the Kandyan heritage. 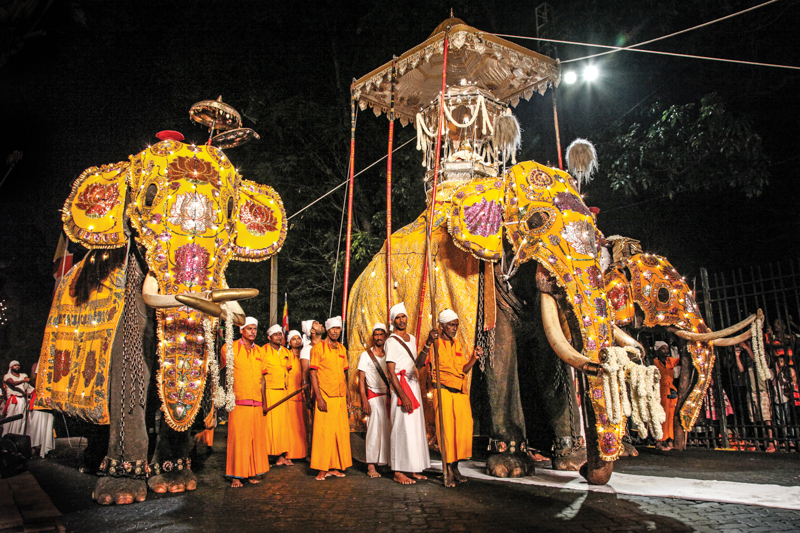 Peramune Rala on a tusker holding the perahera sannasa and customs; the Kariya Karavana Korala responsible for the Sacred Casket; the Gajanayake Nilame and the Diyawadana Nilame of the Maligawa participate. 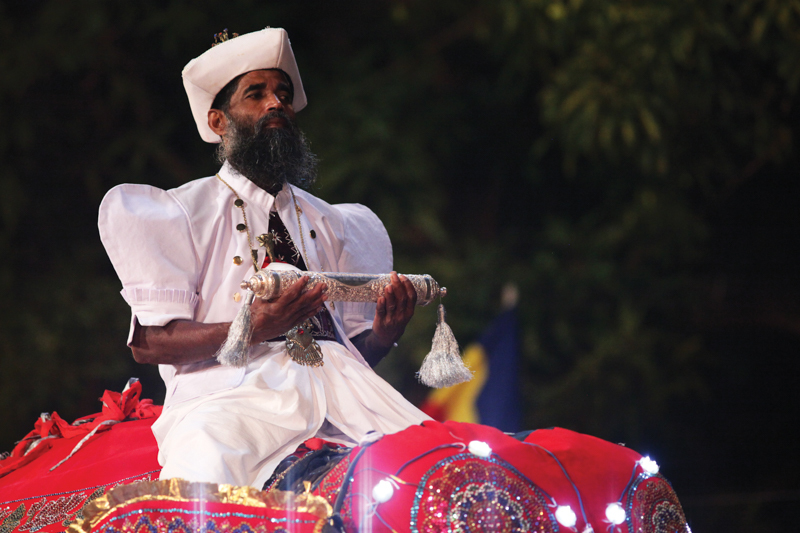 They are all attired in the Thoppotti, the traditional attire worn by the Kandyan Chieftains. The grand Mangala Tusker in elaborate caparisons processions the Golden Casket that encases the Sacred Tooth Relic. Majesty and grandeur emanate from its graceful strides; chanting of the Dhamma by devotees in a trance of spirituality and fragrance of flowers and oil lamps sanctify the air. Finally, the Natha, Vishnu, Kataragama as well as Paththini Devala perahera join. The Kandy Esala Maha Perahera is a tradition that exemplifies the opulent ancient culture of the Island. Photographs courtesy the Media and Special Projects Bureau of the Sri Dalada Maligawa. 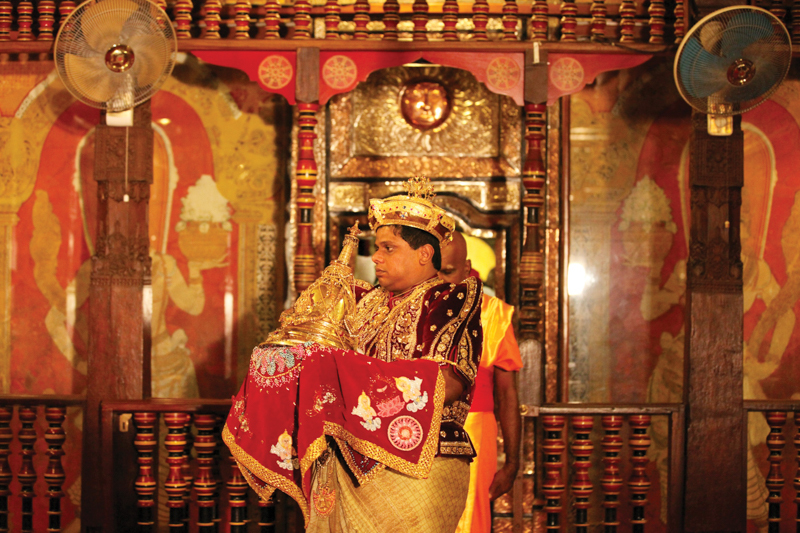 For details about the Kandy Esala Perahera contact the Sri Dalada Maligawa on (+94 81) 223 4226. Photographs courtesy the Media and Special Projects Bureau of the Sri Dalada Maligawa.